Hello friends! I hope you are having a good weekend! The sun is shining here in Maine and I have a list of home projects that I want to tackle but I think I will sneak down to my studio to get a bit of crafting in before the house wakes up:) There is no “perfect” time to create. You need to grab that time when you can get it so I hope you carve out a bit of creative play time today and if you need some inspiration try this tutorial and get a batch of Christmas cards done while you are at it! You can use this design for any occasion though so make the kind of cards you want! What I like about this project is that it only uses 3 ink pads so if you have been on the fence about trying Distress oxide you can pick these three colors and see what you think. If you love them you can get more and if they are not your favorite you can use them up and move on. BTW this will also look very pretty with original distress ink too or you can use any dye ink and I have a tutorial here on how to make it look like distress oxide. 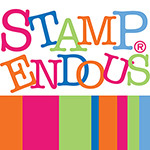 Distress Oxide inks (Lucky Clover, Candied Apple, Fossilized Amber) *Reinkers available too! Follow along with the video to make these fun cards! Try this technique in other projects too. It’s fun and the more time you spend working with ink the better you get at it! Happy crafting! Yes Virginia, There IS a Live Show Today!!! Howdy friends! I am so happy to let you know we will paint live on YouTube at 12:30pm today! Here is the sample I whipped up this morning! 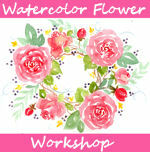 This is a beginner friendly tutorial so don’t be shy, hey why not call a friend and paint along together! Let’s spread the love of painting!! I love that you can begin painting at ANY age, you can progress at 60 just as quickly as you can at 18 and learning new skills keeps your mind quick and supple. Heck, even if it didn’t keep your brain sharp at least you’ll know how to paint:) You can watch the live stream or the replay in the player below but if you want to chat live with other painters or ask questions to me or the moderators then you want to watch the broadcast at 12:30pm ET on the YouTube watch page. I decided to use Sennelier watercolors today, but you can use any brand you like. I recommend if you are trying a new brand of paints to start with a small set (the 12-14 sets are the most affordable per color) or a couple of tubes in colors you need anyway as you can intermix brands with no trouble. The benefit of Sennelier, for me, is the ability to layer without mud. They are my favorite plein air colors (and my palette is very beat up and has sand embedded in some of the pans to prove it!) because I can splash the paint around quickly, but also build up layers of translucent paint without making mud. This painting is done pretty much in one layer so it really doesn’t matter what watercolor you use though, just have fun! Also, about the paper, I did my sample on Aquabee #140 100% cotton 6″x9″ watercolor paper. This is my “practise” paper and it is much cheaper than Arches, you get 50 sheets for under $14. 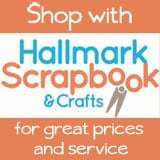 If you are starting out or on a budget give it a try! It is acid free so if you make a masterpeice on the Aquabee it will last too! 😀 I will do my live painting on the Arches paper so if you want I can show them side by side at the end of the live stream and you can see the comparison. Use whatever watercolor paper you have. You can do this! 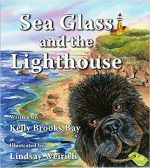 We will sketch and paint together today so there is no pattern available. I will also talk about composition and adapting a painting to suit your style, you are the king or queen of your painted scene! 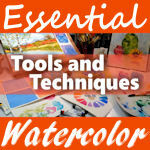 Essential Tools and Techniques for Watercolor is a beginner course aimed at packing all the info you need to know to start your watercolor journey off on the right foot. 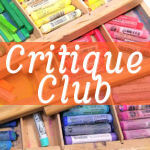 You get 5 hours of video instruction and will compete 3 beautiful paintings during your class! 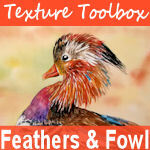 Texture Toolbox: Feathers & Fowl is the first in an intermediate series exploring specific subjects and textures and how to render them in watercolor. As a bonus we work on fixing mistakes in watercolor and I show you many ways to use reference photos to enhance your painting experience. Make sure to use the coupon code TRYME if the discount doesn’t show up automatically to save 20%! 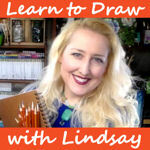 I hope to see you in the free live painting lesson today and til next time happy crafting! *Check your email for confirmation:) I replied to winners in the comment thread of the giveaway post too! Have a great weekend! Giveaway! Jerry’s Artarama Gift Cards! Edited to add winner’s names: Jean Arizona, Jaycee, Laurel Evelyn Hall. Thanks for playing. Contest is closed. Real Time Painting Lesson: Raspberry & Mint Macarons in Oils! You can follow along with acrylics or gouache if you don’t want to use oils. 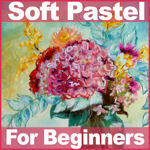 You could use pastels as well as they are opaque mediums. Use what you have and enjoy! I don’t think I ever get tired of painting desserts! I don’t have the patience to bake them (and they never stay made LOL!) but I do love to paint them. It’s kinda like flowers, I have a black thumb but at least I can capture one on paper and they won’t die. That is one of the most gratifying thing about spending time painting or crafting. You get to enjoy the fruits of your labor for a long time unlike the mundane chores of the day that will need to be redone tomorrow. Take some time to pursue your creativity this weekend (the dust will wait for you.) 🙂 Happy crafting! Loaded Bags for Crafty Friends on Halloween! Howdy friends! The best thing about having crafty friends in sharing ideas. When my friends Tracey and Cindy started making cute decorated bags with crafty bits and bobs stuck in here and there I was intrigued and I asked them to tell me what they were up to. They said they were called loaded bags and loaded envelopes and today I will try my hand at making one! Watch the video to see how and then try it yourself with your supplies! 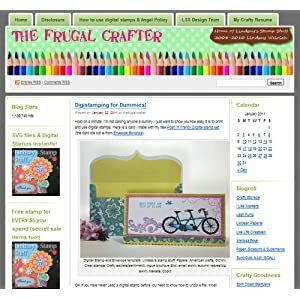 These are great fun to give to crafty palls because they can recycle them on scrapbook layouts, art journals or cards! 1. Fold up the bottom of a paper lunch bag to make a pocket and tape, staple or glue the edges to secure. 2. To make the gatefold insert take any die you like and center on a piece of cardstock. Mark the inner walls of the die and fold in the paper wings (made sure the blades of the die won’t cut the folds) then die cut the folded paper for a shaped gate fold card. 3. Fill and decorate the bag as desired! Slip into a flat glassene bag or envelope to deliver. Have fun with this project and make it your own. Happy crafting!